CORAL reefs contain some of the highest biodiversity of any ecosystem on the planet, but it continues to face serious threats from direct human actions such as overfishing, water pollution and sedimentation. Experts estimate about 27 per cent of coral reefs worldwide have been lost, while another 15 per cent of coral reefs are in critical condition. Brunei alone is home to 410 reef-building coral species, which shelters a rich fish diversity of 711 species. However, the Ministry of Industry and Primary Resources warned “their beauty could be marred by their fragility and susceptibility to damaging threats”. 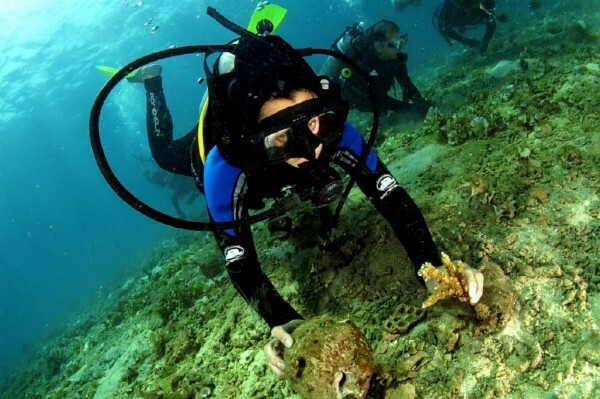 The government conducts its own Coral Conservation, Awareness, Rehabilitation and Enrichment (CARE) Programme, but volunteer divers have also joined forces in a bid to protect coral reefs. Organised by the Student Community Outreach Team (SCOT), a group of eight volunteer divers recently completed the second phase of the Green Xchange (GX) H2O pilot project, which aimed to measure and record the growth of corals propagated by another 20 divers during the first phase. 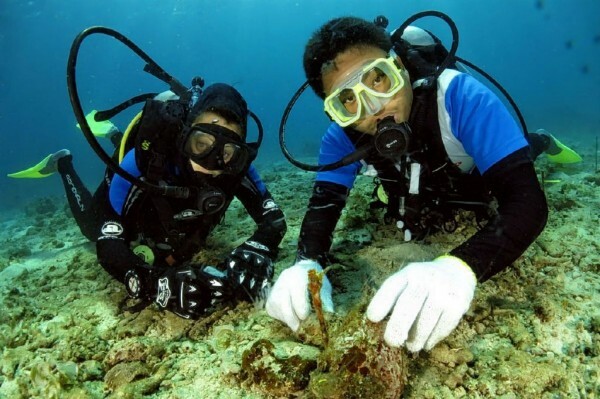 Apart from monitoring the growth rate from March to May at the Pelong Rocks site this year, the participants also repaired propagated corals that were damaged during the monsoon season. 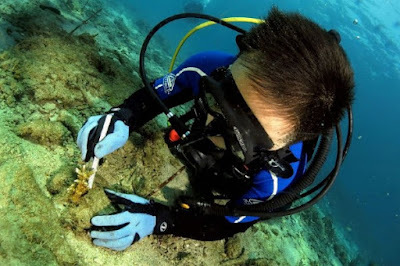 “We saw how something so small can affect everything in the sea, the atmosphere, the air. 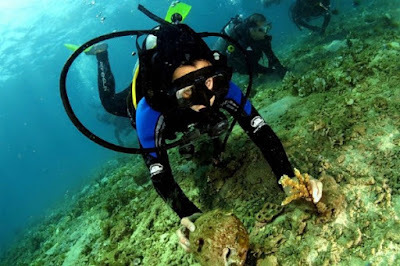 So it has been interesting to see how it all coincides with each other,” said Kamilah Talipudin Talib, a volunteer diver. She added the project enabled them to gain a deeper understanding of how coral reefs play an important role in the environment. Coral reefs provide a source of food and shelter for a large variety of species that humans eat including fish, jellyfish and shellfish. 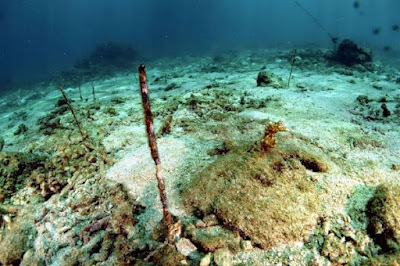 It is estimated that over one billion people around the world depend on food from coral reefs. Frederick Chong, a participant from project sponsor HSBC, said coral reefs can also make important contributions to the local economy. “It looks positive in a way that if we were to continue this then it would improve the dive sites and it will definitely improve Brunei’s economy and help the environment,” he said, noting that dive tourism is a growing market. According to the Ministry of Industry and Primary Resources, the potential economic value of Brunei’s reefs are estimated at $6M annually. “It’s an eye-opener for Brunei especially to see something that other countries are doing already. We are finally taking our own first big step towards this. 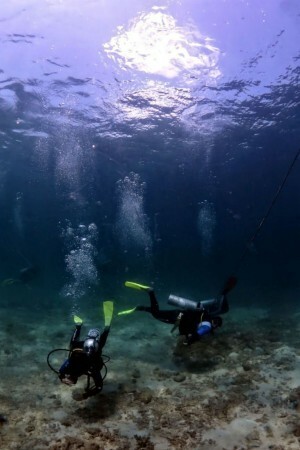 There are surprisingly a lot of nice dive sites here,” said Chong. In addition, coral reefs protect coastlines from ocean storms and floods. It can also dissipate wave energy from storms and tsunamis, reducing damage on the land. GX H2O project manager Isman Abu Bakar believes that growing more corals would help to repopulate the sultanate’s overfished waters. In the long run, he said it would benefit fishermen who rely on fishing as their only source of income. Despite the volunteer divers’ best efforts, they faced a number of challenges during the coral propagation initiative. 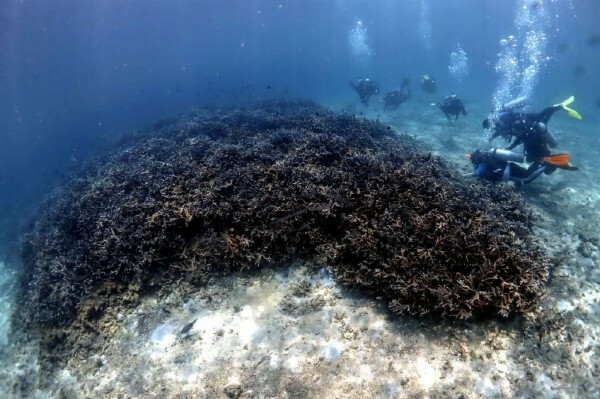 Their initial method for coral propagation was later deemed unsuitable to the conditions of Brunei waters, while efforts to grow the corals were further hampered by the monsoon season. However, they managed to overcome challenges by creating improvised solutions. 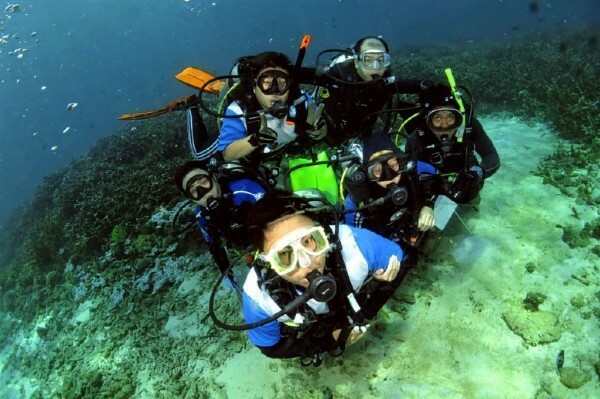 Wong Thye Sing, general manager of Poni Divers, said the GX H2O paved the way for more volunteer divers to take part in coral conservation initiatives. “It was a pilot project, so we obviously had some challenges with the conditions here in Brunei. I’m quite happy that we encountered these challenges, so we could come up with different solutions. The participants have all been quite resourceful,” he said. However, he pointed out it was important to continue coral propagation efforts on a long-term basis in order to see substantial impact. 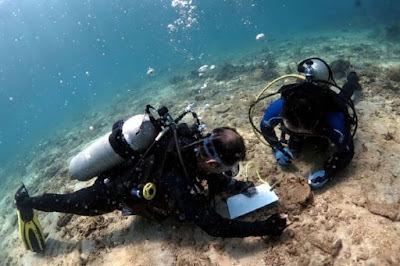 Wong also noted that numerous data have been logged by the volunteer divers since the GX H2O project commenced with the first phase from April to November 2014, which will help to improve and develop similar projects in the future.